Drawing that Lanternshark...AND turning it into the Green Lantern was so much harder than I expected. 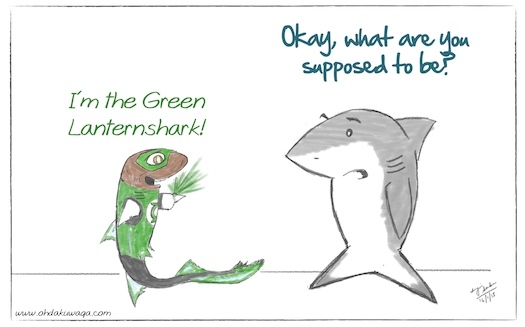 Watch out for more adventures of The Green Lanternshark! Here's more information on Lanternsharks (I wasn't sure if it was 'Lanternshark' or 'Lantern shark' - they both seem to be used). 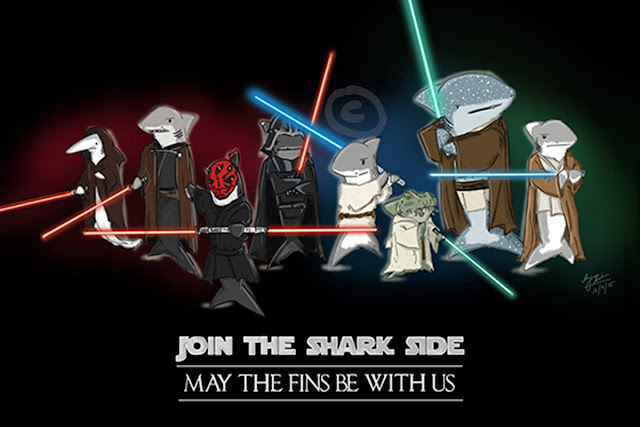 There are also a few other kinds of lanternsharks, for those of you who are interested.